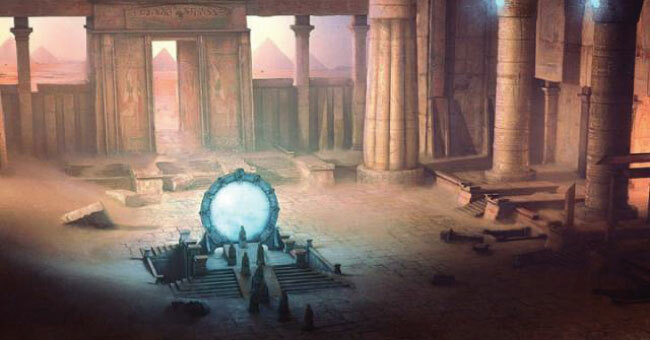 Many ancient cultures speak of portals to other worlds and stargates where their “creators” reside. Conventional wisdom tells us these tales are merely myths and legends. However, recent declassified FBI files have stated that our Earth has been visited by beings from other dimensions and planets. NASA has announced that “portals” do indeed appear to be hidden within the Earth’s magnetic field, making some wonder if the legends of stargates, portals and wormholes may have some degree of truth to them. One legend of a mortal passing through the doorway appears to lend a little credibility to Mamani’s alleged dream. The story says that when Spanish explorers arrived in Peru in the 16th century, looting Inca riches as they went, an Incan priest named Amaru Maru fled his temple with a valuable golden disk—“The Key of the Gods of the Seven Rays.” Amaru Maru found the doorway and saw it was guarded by Shaman priests. He presented to them the golden disk, and following a ritual performed by the priests, the smaller doorway opened. Behind it was a tunnel that shone with great blue light. Amaru Maru passed into the doorway, left the disk with the Shaman priests, and vanished from Earth to the land of the gods. In 2007, while searching for the remains of shipwrecks, scientists discovered a stone structure 12 meters (40 ft) below the surface of Lake Michigan. Thought to be 9,000 years old, the structure has been dubbed Michigan’s equivalent of Stonehenge. The discovery was made by professor of underwater archaeology at Northwestern Michigan University, Mark Holley, and his colleague, Brian Abbott. One thing of particular interest was a carving on one of the stones of a mastodon—which is believed to have become extinct 10,000 years ago—a possible indication of the structure’s age. The location of the site has been kept secret, at least for now. This is part of an agreement with the local Native American tribes who wish to keep the amount of visitors to a minimum. In 1891, a schooner named the Thomas Hume vanished into thin air along with all seven of it’s crew while sailing on the lake. In 1921, the 11 people who were aboard the Rosa Belle disappeared without a trace, but their boat was found floating lifelessly in the water. In 1937, while on board the O.M. McFarland as it made its way along Lake Michigan, Captain Donner retired to his quarters to get some much needed rest after a long shift on deck. Three hours later, the second mate went to wake his captain. Finding the door locked from the inside, and with no response from the captain, he eventually broke down the door to the room. With the captain’s quarters empty and with all the windows locked shut, Captain Donner had simply vanished. 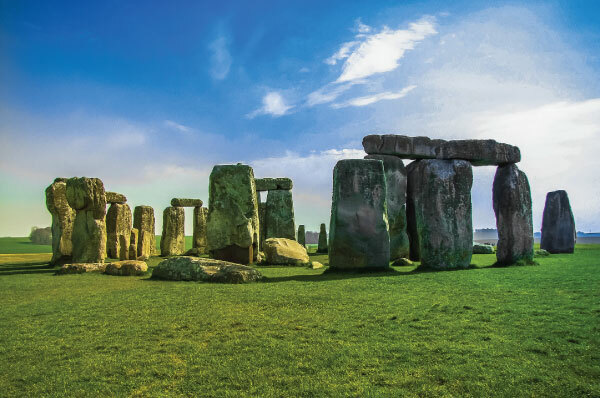 One of the most well-known structures on the planet, if only by name, is the ancient rock formation known as Stonehenge. It is also one of the most contested and debated sites in history, both as to when it was built and to what its true purpose might have been. Mainstream historians claim that the famous arrangement was built around 5,000 years ago, partly from bluestones that were quarried from a site 386 kilometers (240 mi) away. To some though, this notion is absurd. Geologist Brian John states that there been no evidence for this claim and no evidence that the alleged quarry even existed. It is said that when the first settlements were built in the area, 5,000 years ago, Stonehenge was already there and fully built. The ancient site is said to sit where 14 ley lines converge and some feel, along with other similar ancient sites, this essentially makes it an energy portal or stargate. At least one incident in recent history may support this seemingly crazy theory. In August 1971, a group of hippies apparently disappeared at Stonehenge while trying to tap into the “vibrations” of the site.At around 2 o’clock in the morning, without any warning, lightning bolts suddenly struck and a severe storm was unleashed onto the area. According to the story, a policeman who happened to be on duty and in the area, recalls seeing a “blue light” coming from the stones – a local farmer also stated he saw this. Screams could be heard from the area. By the time the policeman had made his way to the site, all that remained was the odd tent peg from the reveler’s tents and the damp remains of a campfire. There is a famous Sumerian seal that shows a Sumerian god appearing from a portal of his world into ours. The god appears to be on a staircase that is moving away from the person viewing the seal. On each side of the emerging god, there are strange shimmering columns of water. 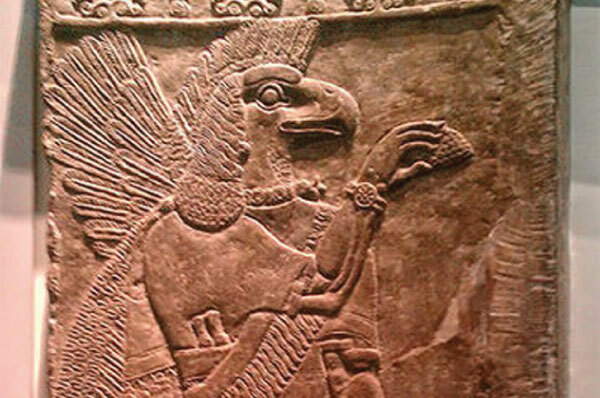 Another Sumerian artifact that claims to show evidence of stargates is that of Ninurta. Ninurta not only appears to be wearing a modern day wristwatch, but is also using his finger to press what appears to be a button on the wall of the gateway he is standing in. Author Elizabeth Vegh has written several books on the ancient Sumerian gods and kings and their alleged use of stargates in ancient times. One of her main conclusions is that there is a stargate in the Euphrates River, and has been buried and lost under the ruins of the Mesopotamian city of Eridu for thousands of years. Vegh also states that the biblical verse in Chapter 9 of the Book of Revelations speaks of this stargate. 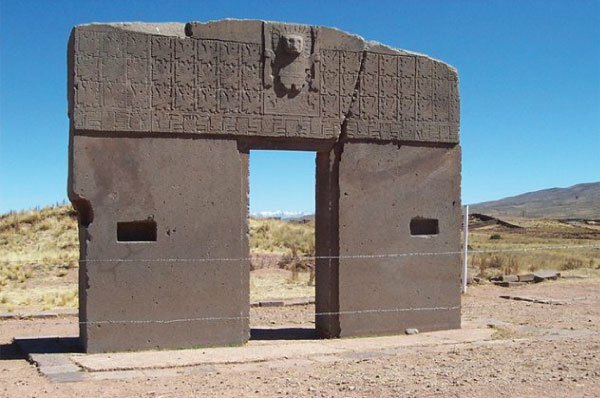 Believed by some to be a portal to the land of the gods, the “Gate of the Sun” in Bolivia shares much of its legends with other similar sites in the Andes region. Tiahuanaco city is said to be one of the most important sites of ancient America, with legends stating that the Sun god, Viracocha, appeared in Tiahuanaco and made it “the place of creation”—the place he chose to start the human race. Carved from one block of stone and thought to be 14,000 years old, the gateway displays what appears to be human beings with “rectangular helmets”. This has led many researchers to state the purpose of the gate is indeed connected to something astronomical, although this is hotly debated. The top-middle of the arch features a carving of the supposed sun god and shows what look to be rays of light appearing behind and forcing their way around all sides of the deities head. Carved on a massive piece of stone wall and mostly hidden between the boulders and cave systems of Ranmasu Uyana, is what is believed to be a star map or star chart. The symbols carved on the rock are said to be a code that opens the star gate and allows the opener to travel from this world to other areas of the universe. Directly opposite the star map, are four stone seats or chairs. In many ancient Native American legends, stargates or portals were represented by rotating circles. 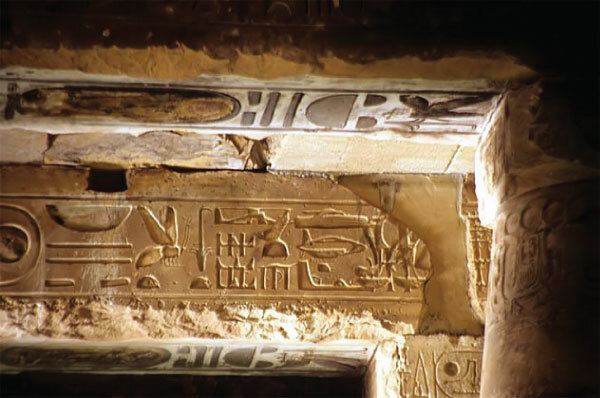 Similar star maps have also been found in other ancient sites said to be stargates, such as the Abu Ghurab in Egypt and many more ancient sites in the Andes of South America. Yet, mainstream historians disregard the notion that the Sakwla Chakraya is a portal or stargate. Perhaps even more amazing is how a lot of the site was discovered. A lady named Dorothy Eady had claimed to be the reincarnation of an Egyptian peasant girl named Bentreshyt and was the secret lover of Pharaoh Seti. She had become pregnant with his child, but before he could learn of the pregnancy, the peasant girl took her own life. Now in the 20th century, Dorothy was able to transcribe ancient Egyptian texts and even knew where the archaeologists should dig to excavate the remains of the ancient city. She seemingly knew where everything was, such as where secret chambers were and the location of gardens that had long since been buried. By the time they discovered precisely where she said they would be, people very much believed she was genuine. 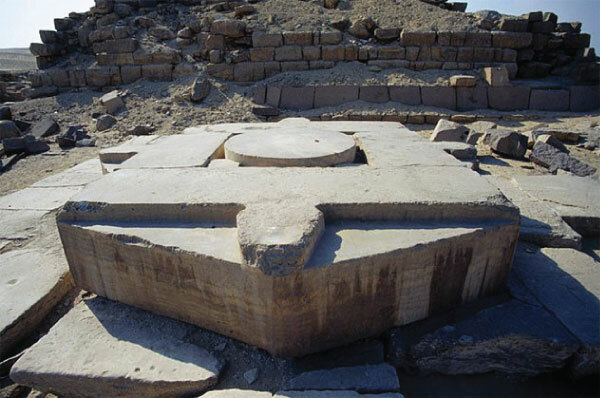 n 2003, Michael Schratt, a military aerospace engineer, stated that Abydos did sit on a naturally occurring stargate. Even more controversially, that the US government was very much aware of this and had actually utilized it. 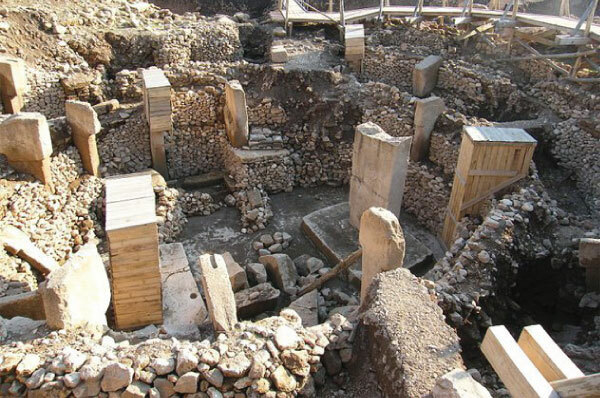 Regarded as the oldest stone temple in the world, the Gobekli Tepe site features several rings of huge “T” shaped stone pillars, each engraved with a carving of an animal such as a lion or a sheep. The “T” columns are very similar to the “Gate of the Gods” at Hayu Marca in Peru. Interestingly, the Inca people spoke of a connection to the people from the Pleiades star system, which is also T-shaped. Like other alleged portals, Gobekli Tepe is situated where two ley lines meet. Although the site was recorded as far back as the 1960’s, it wasn’t until the the mid-90’s when the T-Shaped pillars were discovered. As for its true age, estimations date it around 12,000 years old. 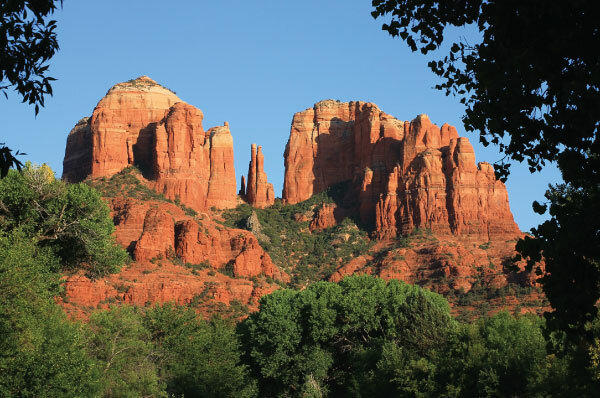 Sedona, a small town in Arizona was once known by the Native American tribes as Nawanda, and at one time, a most sacred city to them. It is said the Red Rocks of the deserts that surround the small town can create vortexes with the capability of transporting people to another realm or dimension. Native Americans believed these rocks were spiritually charged, while sounds emanating from them have been reported. In the mountains of Arizona, claims to be the “Doorway of the gods”—a strange stone arch portal to another time and space. Did u get a reply?